AI, machine learning, and related technologies are more popular than ever, but when it comes to automated testing, the hype outpaces the reality. While there are a few automated testing solutions that take advantage of AI and perhaps machine learning or deep learning, the level of chatter might lead one to believe that such tools and services are more pervasive than they actually are, yet. For example, there’s AppliTools Eyes for UI testing; AutonomIQ and Functionize autonomous testing solutions; Mabl, a machine-learning test automation service for web apps and websites; and Parasoft SOAtest for API testing. It’s a good idea to experiment with the tools to understand the scope of their capabilities. It’s also wise to learn a bit about AI, machine learning, and deep learning to understand what they do. “I think it would be a mistake to use it without understanding it’s limitations,” said Bob Binder, senior software engineer at the Carnegie Mellon Software Engineering Institute. Software teams are under constant pressure to deliver better quality products in ever-shorter timeframes. To do that, testing has shifted both left and right, and the automation of tests has become critical. However, in the meantime, traditional test automation has become a bottleneck. Rather than having engineers write scripts, there are now solutions that can automatically generate them. “When we talk about test automation today, for the most part, we are really talking about the automated ‘execution’ of tests. We’re not we’re not talking about the automated ’creation’ of tests,” said Joachim Hershmann, research director at Gartner. One approach is to provide an autonomous testing solution with a test case written in a natural language and it will autonomously create the test scripts, test cases, and test data. The autonomous nature of the system frees up testers to do other things such as explore new technologies, advocate for the customer or line of business, as well as be more influential and strategic, said Voke’s Lanowitz. Web and mobile app developers have options that help ensure the user experience is as expected. Software development firm Gunner Technology has used AI-aided automated testing a couple of times. At the present time, Gunner Technology is developing a mobile app that will launch at the end of the summer for which it is also using AI-based automated testing. “There are these little edge cases where you don’t know what is going to happen on a pixel-by-pixel basis,” said Merkens. The benefit of machine learning is pattern identification. In the case of automated testing, that means, given the right training, it is able to distinguish between a failed test and a past test, although there are other interesting possibilities. Some vendors are promoting the merits of AI and machine learning, whether their product actually uses the technologies or not. As with other types of products, the noise of similar sounding offerings can make it difficult to discern between what’s real and what isn’t, particularly for the uninitiated. While it’s fun to be technologically curious, it’s also wise to consider how the organization could benefit from such a product or service and whether the organization is actually ready for it. Machine learning requires data which may not be readily available. Alternatively, if the data is available, it may not have been curated because no one knows how to make sense out of it. It’s a mistake to underestimate the dynamic nature of machine learning, because it’s a continuous process as opposed to an event. Common goals are to teach the system something new and improve the accuracy of outcomes, both of which are based on data. For example, to understand what a test failure looks like, the system has to understand what a test pass looks like. Every time a test is run, new data is generated. Every time new code is generated, new data is generated. The reason some vendors are able to provide users with fast results is because the system is not just using the user’s data, it’s comparing what the user provided with massive amounts of relevant, aggregated data. While autonomous testing and AI technologies aren’t new, the combination of them are in the early stages. More and different types of products will hit the market in the coming months and years. Meanwhile, there will be a lot of trial and error involved by end users and vendors. Voke recommends taking a long-term view of the technology and consider how it’s going to impact the mix of skills in the organizations and workflows. While it’s common to focus on the technology aspect of this or any other technology for that matter, what’s often underestimated are the impacts on people and processes. Gartner’s Murphy said organizations should plan for a four-month window to understand how the new tools differ from traditional tools, how to apply the new tools well and get the staff trained. “Expect to get some positive benefits over a year’s worth of time, but expect it to take some time to get it going and have things move forward,” said Murphy. Don’t get too comfortable, though, because many of the companies behind AI and machine-learning-aided automated testing tools and services are startups. They may look hot or be hot now, but some of them may fail while others may be acquired by industry titans. Meanwhile, Lanowitz thinks some automated testers may evolve into automated testing system trainers. 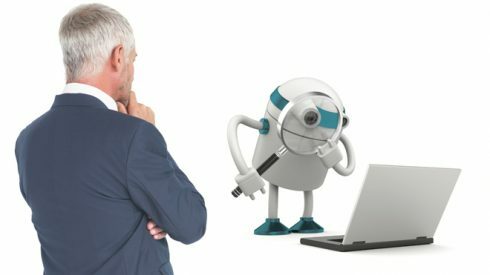 “If you’re currently an automated test engineer, this is an opportunity to increase your skill set because what you’re going to be doing is not just using a tool, you’re going to be training that software that fits within the scope of what you want to do in your own organization,” said Lanowitz. The Silver Bullet mentality is alive and well in the AI space, and that will trickle down to the automated testing space. Despite the fact there are no silver bullets, massive amounts of industry hype continue to set unrealistic expectations. Organizations sometimes jump on the latest bandwagon without necessarily understanding what they’re adopting, why, and what their current state really is. They want answers that will help them navigate the new territory faster and more intelligently, but they don’t always know which questions to ask. Don’t plan a wholesale shift that involves the entire organization, in other words. Start small, experiment, make mistakes, learn from the mistakes, build upon successes, and keep learning. One Gartner client spent a year experimenting with what was available and doing a pilot. The results were not as expected, but instead of considering the endeavor a failure, the organization realized the tool that had a lot of potential that would probably take another year or two to realize. Apparently, the lead analysts at Gartner think that the AI landscape may look very different five years from now. There’s a lot of innovation and a lot of venture capital and private equity flowing into the space. “Don’t expect that this is going to be only the way forward for the next 10 years,” said Gartner’s Herschmann. AppliTools Eyes is an automated visual AI testing platform targeted at test automation engineers, DevOps and front-end developers who want to ensure their mobile, web and native apps look right, feel right and deliver the intended user experience. AutonomIQ is an autonomous platform that automates the entire testing life cycle from test case creation to impact analysis. It accelerates the generation of test cases, data and scripts. It also self-corrects tests assets automatically to avoid false positives and script issues. Functionize is an autonomous cloud testing platform that accelerates test creation and executes thousands of tests in minutes. It also enables autonomous test maintenance. Mabl is machine learning-driven test automation for web apps that simplifies the creation of automated tests. It also identifies regressions and automatically maintains tests. Parasoft SOAtest API testing is not a new product. However, the latest release introduces AI to convert manual UI tests into automated, scriptless API tests.